A few years ago I had a job to design some chairs for a furniture manufacturer and it was decided that these should be available in a painted finish. 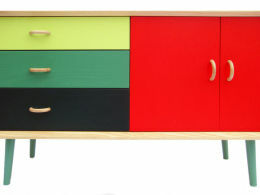 Therefore a range of colours had to be chosen. This company was very keen on using colours from the Farrow and Ball range, but I was against this as it would have given the chairs a country-house look, which was at odds with the design. We looked at other ranges of colours from other paint companies but this just made it seem like the choice of colour was being made second-hand: after all, these groups of colours had been chosen by someone else. I was living just up the road from Winterbourne Botanical Garden (which is part of Birmingham University) and, remembering Ruskin's advice to look to nature, started taking photographs of plants and flowers in the gardens. I was thinking : if you were doing a painting of this which would be the main colours? I went back many times throughout the year to record colour variations through the seasons. From the photographs at Winterbourne, checking as far as I could that the colours were accurate, I mixed sets of colours in Winsor and Newton artists' oil paint. This is more difficult than you might think because at every stage there is room for error and compromises have to be made. Whenever you observe something it changes. I cropped the most interesting part from each photograph and got an archive quality digital print made. 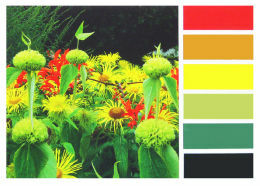 I decided to identify six colours from each image to create a natural colour palette for that image. Unexpectedly I found that some of these resembled the ranges of colours I’d been looking at in vintage colour charts from the 1950s - plenty of greens with the odd splash of something brighter. A chart from ‘Japlac’ is shown below. These are paint colours from the world that existed before the trippy Technicolor revolution of the 1960s and well before the current ‘heritage’ backlash. Later on, thinking it would be useful to translate these colours into household paint that could be used in product design or interiors, I found I could match many of the colours with the Dulux Trade Colour Palette, which I think is the best range of non-artist's colours currently available. Altogether I made over thirty colour charts. The purpose of the whole exercise was to find, from first principles, groups of colours which 'go' together for use in design projects. Having said that the charts are also available as framed artworks (see 'shop' section). 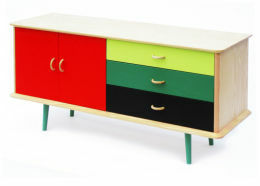 The first design job that used colours from one of the charts is a sideboard (below) which I'm making for Liberty & Co, London. 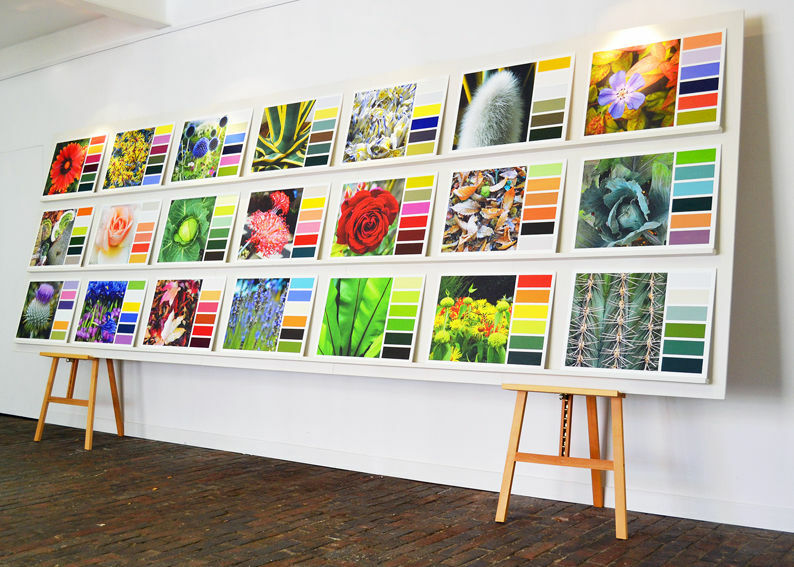 During the course of the project I was invited to join the London panel of Global Color Research which predicts and advises on future colour trends world-wide.